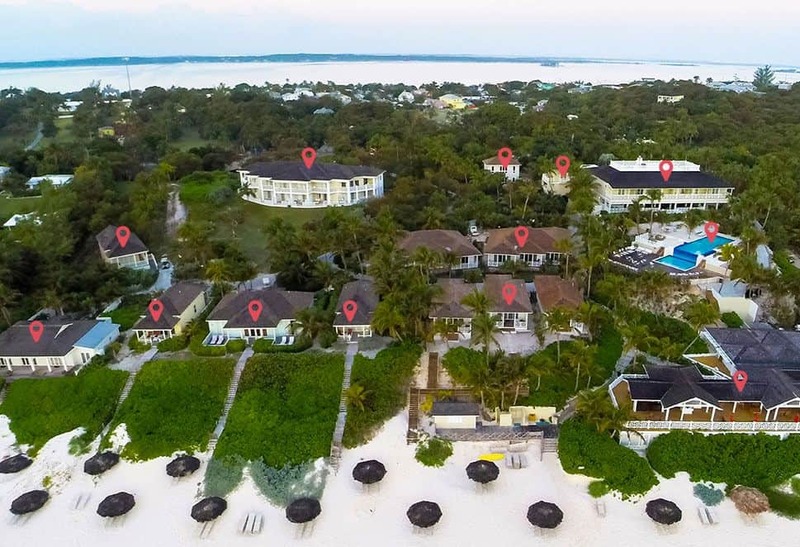 Coral Sands recently completed a multimillion dollar renovation to unveil new features such as private beachfront cottages, a 55-foot infinity pool with a second level soaking pool, an upgraded lobby and bar and more. The resort’s location on this quaint island makes it the perfect spot for newlyweds who want to enjoy the beauty of the beach and Caribbean Sea in privacy. Recently renovated Coral Sands is the epitome of barefoot chic. In honor of the launch of [Jonathan Simkhai’s] swimwear line, the designer hosted a range of influential pals including Julia Restoin Roitfeld, Harper Bazaar’s Kerry Pierri and Joyann King, blogger Charlotte Groeneveld, photographer Lyndah Wells, W’s Caroline Grosso, V’s Tom Van Dorpe, stylist Nausheen Shah and influencer Caroline Vreeland, who serenaded the crew over dinner at the Coral Sands Harbour Island Hotel on the final night. To celebrate his new collection of slick suits in a palette of navy, white, black and red, the New York-based designer [Jonathan Simkhai] took the party off-site to Coral Sands on the Bahamas’ Harbour Island. For the launch, he brought some of his most loyal supporters, including Julia Restoin Roitfeld, stylist Nausheen Shah, and Dutch blogger Charlotte Groeneveld, to the Coral Sands Hotel in the Bahamas to celebrate the launch of the collection. On Harbour Island, near the northern end of Eleuthera, the Coral Sands is one of the fortunate few hotels to sit directly on Pink Sands Beach, declared one of the prettiest beaches in the Bahamas, if not the world. We stayed at the iconic Coral Sands hotel, located on one of the most beautiful stretches of beach I have ever seen. The owners, Tom and Silma Sherman, met us at the entrance with cocktails and showed us to a beautiful room with wide plank floors and shuttered double doors overlooking the ocean. It felt more like we were staying at a wonderful old friend’s beautiful beach house than at a hotel. On the far side of the island, Coral Sands is great for groups, with its prime slice of pink-hued beach and cache of newly built rooms. The mood is laid back, and the rum punches runneth over at the sand-side bar. As the sun sets in the early evening, the warm light hits the pristine sand, making the color all the more spectacular and vibrant. Contrasted with the turquoise water, it is a breathtaking sight — one that should be enjoyed with a cocktail from the Coral Sands Hotel Beach Bar. Coral Sands recently completed a multimillion-dollar property-wide refresh that included a revamp of the entrance and lobby, construction of a new gift shop, expansion of the restaurant, an upgrade of all bathrooms and the addition of 12 guestrooms and suites….Even small properties do not stint on amenities. Coral Sands offers in-room refrigerators; walk-in showers with a rain head; room service; a game room and library; access to kayaking, bone-fishing and snorkeling; and French-themed organic and natural foods with locally sourced ingredients in its Latitude 25 restaurant. That small-town bliss continues at the newly renovated Coral Sands Hotel — set right on that famous pink-sand beach that consistently tops best-beaches lists, including ours. Nab a beachfront cottage that feels like it was put there just for you, and walk steps to the sand. Laze away the afternoon under a private thatched tiki hut. Go snorkeling. Wander down to a beach bar. Have dinner at the new Latitude 25, where renowned chef Ludovic Jarland seamlessly blends flavors.